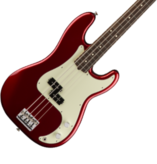 Fender® Forums • View topic - Why Aren't We Talking About These? Why Aren't We Talking About These? Post subject: Why Aren't We Talking About These? The Squier Classic Vibe '70s Jaguar was introduced at NAMM. 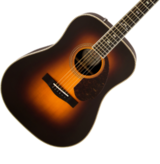 The street price is $400 new, and Sweetwater is taking pre-orders. They come in surf green, black, and brownburst. The body is poplar and the neck is maple. I love the block inlays and binding on the neck. 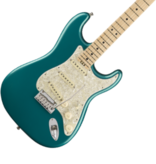 But if I bought the surf green version, I would definitely replace that tortz pickguard with white. Also, I have no idea how good poplar is as a wood for guitars. "Today Atlantis, tomorrow the world!" Post subject: Re: Why Aren't We Talking About These? Poplar body ? We talk about low budget guitar . You have for what you pay. I test drive Squier Classic vibeTelecaster with one of my USA Tele. Classic Vibe are very good for the price. On the 'why aren't we talking' aspect, you just started the topic. IMO there are poplar and poplar. Same looking wood (?) from different country may not have same quality and price. Of course there are differences with wood. Even with two blanks from the same tree. If you have any knowledge of inferior wood used vastly in Squier instruments, please share the knowledge and source. If not, and with all due respect: are you sure you're not just being a snob with that wood statement, and equalling price with quality by only imaginative arguments? You alway have for what you pay. Poplar ; solid or laminated ? Some trees named poplar on other country may not be same as poplar we may find in North America or in high end guitars. Poplar trees are all members of the genus Populus, a term that means "many of" in Latin. Several dozen species of poplar are grouped under the Populus umbrella. Although each species has its own characteristics, in general these trees grow fast and propagate easily, but have powerful, suckering roots that can turn a row of poplars into a gardener's nightmare. So, you would not be satisfied with the Ikea Frakta bag, because it costs only 1€, you would rather buy the Balenciaga version for 2000€..? But seriously, with the pricing policy these days (and since long ago) one shouldn't expect a straight dependancy between production costs and price. High end luxury products, made for a selected clientele, in a market with little or no competition, are usually priced accordingly. Mass products in a very competitive market likewise - and FMIC considers their economic line as "baits"; the first step towards the CS MasterBuilts. Anyways, back to the topic. 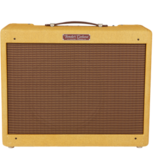 Quite reasonably priced, and if they have kept the weight in control, that could appeal especially to surf/indie hearted young players, 24" scale and all. Also, I have no idea how good poplar is as a wood for guitars. In the '90s, poplar was the main wood used for American Standard Strats and Teles. Wood commodity prices vary. Sometimes poplar is a little less expensive than alder. But sometimes alder is cheaper. 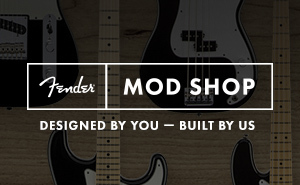 (A big part of why Fender switched back to alder in the '00s for American models. *) Not talking huge price differences either way -- when you make hundreds of thousands guitars every year, a few pennies per board foot adds up. It's not a "cheap" wood, it's not "trash" wood or a "mystery" wood. Woodworkers have always held poplar in high regard (for projects where the natural appearance isn't a factor). If you like the guitar, poplar shouldn't be a concern. *Price wasn't the only reason American Fenders switched back to alder, of course. The internet boomed around then, and people started reading that their beloved 10 year old Fenders were "actually" just "junk" with poplar bodies, veneers, and swimming pool routs. With alder lower in price plus the internet blather, switching back was a no-brainer. That internet blather has left a permanent mark. People who should know better still harbor unfounded prejudice against poplar. So if/when poplar drops in price again, it's highly unlikely they'll ever use it for the US models again. I don't own a Squier, so I've checked out this sub-forum maybe 2 or 3 times before now. But Squier VM Jaguar owners are so fanatical about their Jags, I thought they would be thrilled that a new Squier Jag is coming out. Thus, I was surprised to find no mention of it here. Personally I think it looks best in the sunburst colour. Unusual guitar, I must say. I've got mixed feelings about it. I like its shape, but I think it would look better if the fingerboard was a darker shade of brown. I do really like the Nickel-plated hardware though. That's nice. Agreed, those block inlays would make a more striking contrast with rosewood.